Hello, New Coney Island (Again)! 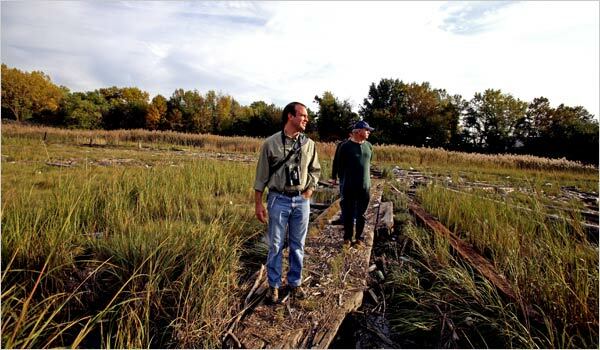 Glenn Phillips of New York City Audubon, left, and William E. Morris, on the board of Mariners Marsh Conservancy, touring Arlington Marsh. This floating condo with a bird’s-eye view of the Manhattan skyline is ready for occupancy – by swallows, wrens and their feathered pals.